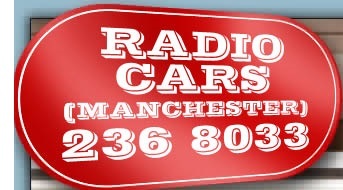 Since it was first established on 17th December 1964 Radio Cars Manchester has become one of the North West’s largest private hire organizations. You don't need to give cash to your clients or staff. We will conveniently bill you within 30 days. Our clear monthly invoice gives you complete control with as much detail as you need. You don't need to give cash to your clients or staff. We will conveniently bill you within 30 days. Our clear monthly invoice gives you complete control with as much detail as you need and can include supplementary information: cost centres, code numbers, time of day or any other classification. You can book and track your vehicle from door to door using our Web portal. You will have the option to manage every aspect of your booking. "We use this firm a lot to take our foreign students from our academy to the airport. Best rates and service." "Radio pick me up every Friday evening from Manchester Piccadilly. I can't fault their service. Always excellent. " "This is my go-to firm when I'm out in Manchester and need a taxi home. They're very reliable and never overcharge even at the weekends. Great service."